Kristen Weber is a Sandwich chiropractor who serves Sandwich and the surrounding communities in MA . 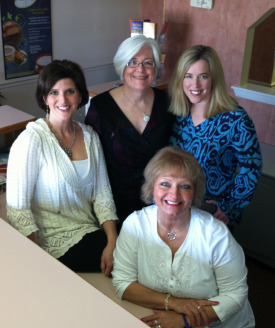 Meet the staff of Copp Chiropractic. Dr. Weber completed her undergraduate degree at Colby-Sawyer College in New Hampshire. She knew she wanted to be in the healthcare industry and wanted to help people get well. This desire led her to become a chiropractor. She graduated from Life University in Marietta, Georgia. Following graduation she worked for a chiropractic office in Newport Beach, California before returning to Cape Cod in 2002. She had her own practice in Hyannis until joining our practice in 2011. Our chiropractic assistants are Michelle Hayward and Janet Glasson. Both Michelle and Janet trained as medical assistants, and have been helping our patients for many years. They can answer just about any question you may have. Together, we look forward to serving you and your health care needs. Chiropractic care can help you relieve your pain and achieve a higher state of overall wellness. You can feel better - Let us show you how! If you have any questions about our Sandwich chiropractor, or would like to learn more about chiropractic care at Copp Chiropractic, please call us at 508-833-0410 today!